Patrick Preston is an accredited home inspector with both the Home Inspectors Association of BC and the National Institute of Building Inspectors as well as licensed with the BC Consumer Protection Authority. He is also a Red Seal Journeyman Carpenter and former building contractor with in-depth knowledge of all the components of a home. Patrick is a Certified Level I Thermographer for infrared inspections, a WETT Certified Technician to certify the installation of solid fuel burning appliances, an NRCan Certified Energy Advisor for Eco Energy Audits, a Certified Mould Sample Technician for indoor air quality/mould sampling and a Qualified Commercial Building Inspector. 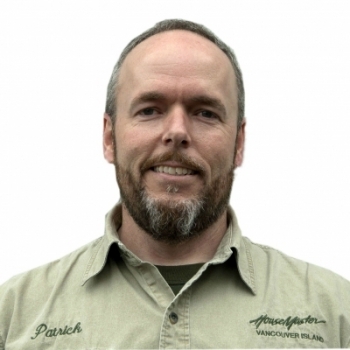 Patrick has personally conducted over 5000 quality inspections on Vancouver Island.